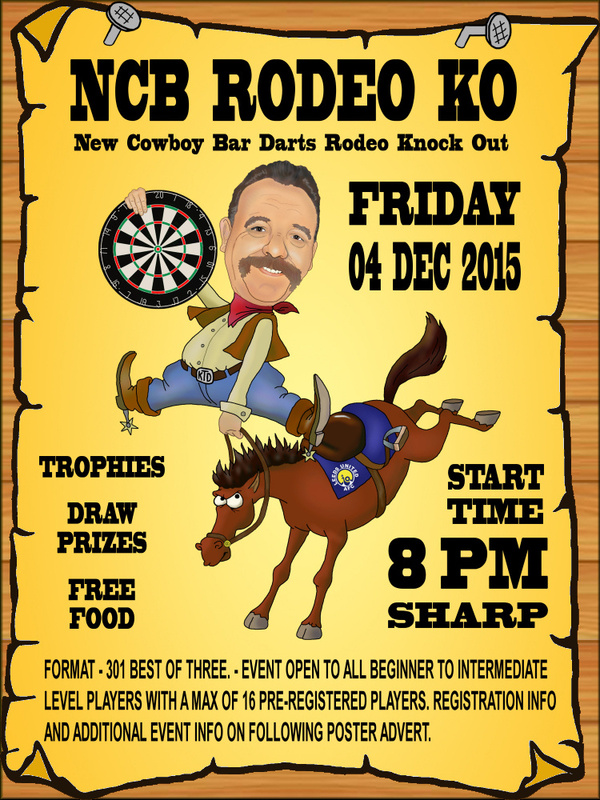 With great pleasure the NCB Darts Club announces our End-of-Year gala darts event – The New Cowboy Bar Darts Rodeo Knockout. 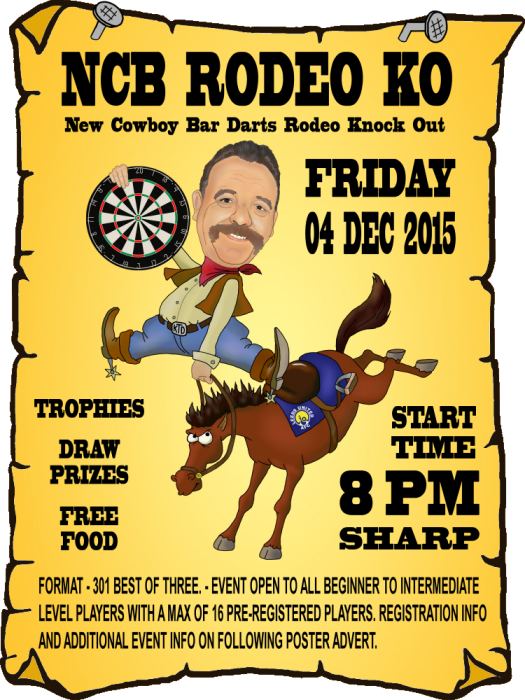 This event – a fitting culmination to a great year of darts – expanding a rebirth of darts interest in our locals – attracting so many new players and last but certainly not least – all the great visiting darts friends we’ve made over the year. 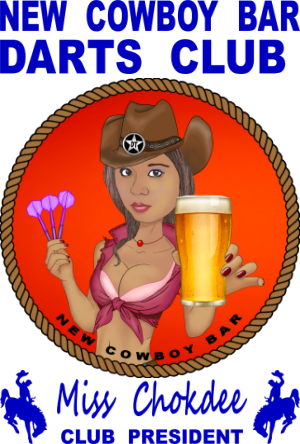 One major factor to this success has been finally getting darts events started on time and finished at a reasonable hour. This has attracted so many of hmm – how shall I say – our less fortunate darts enthusiasts who still have jobs, schedules and careers. 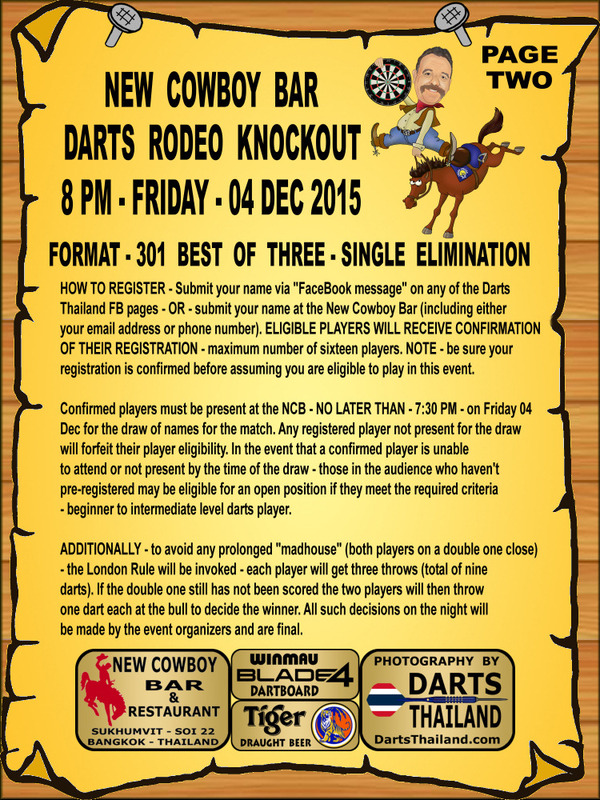 The emphasis of our Darts Rodeo Knockout is to have an organized, on-time event with no down-time between games. 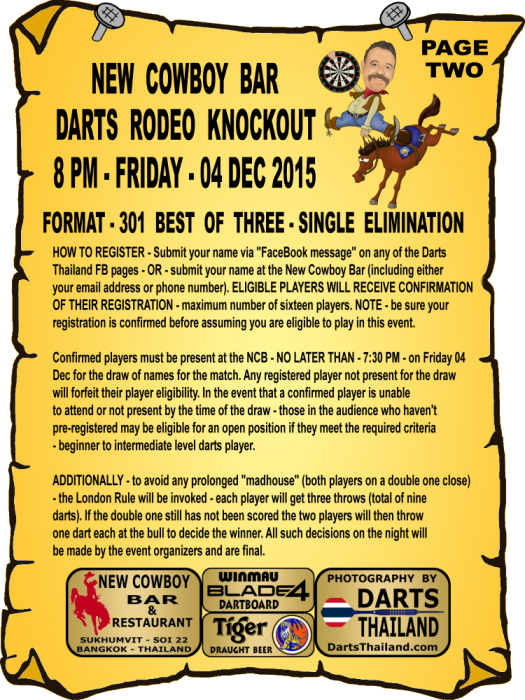 With a maximum if 16 pre-registered players who must arrive no later than 7:30 on game night for the draw of players – we will begin knockout play at 8 PM sharp. And there will be no late arrival additions to this event. Please refer to the REGISTRATION & CONDITIONS section on the second page of our event advert.